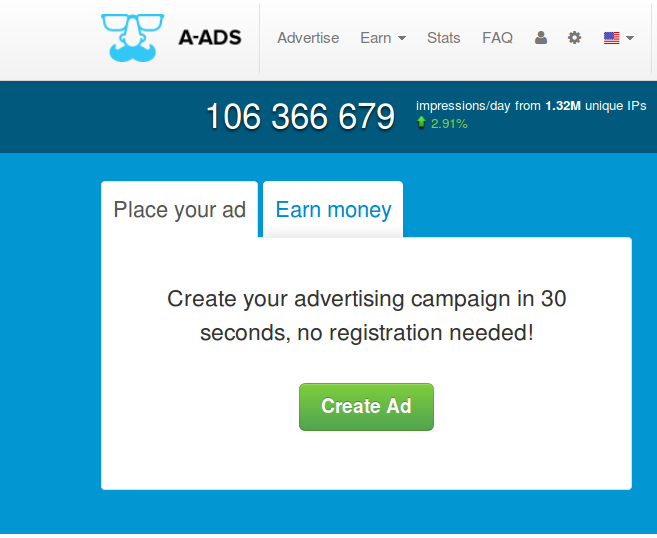 We have developed a new interface that makes it trivial to create a simple advertising campaign. 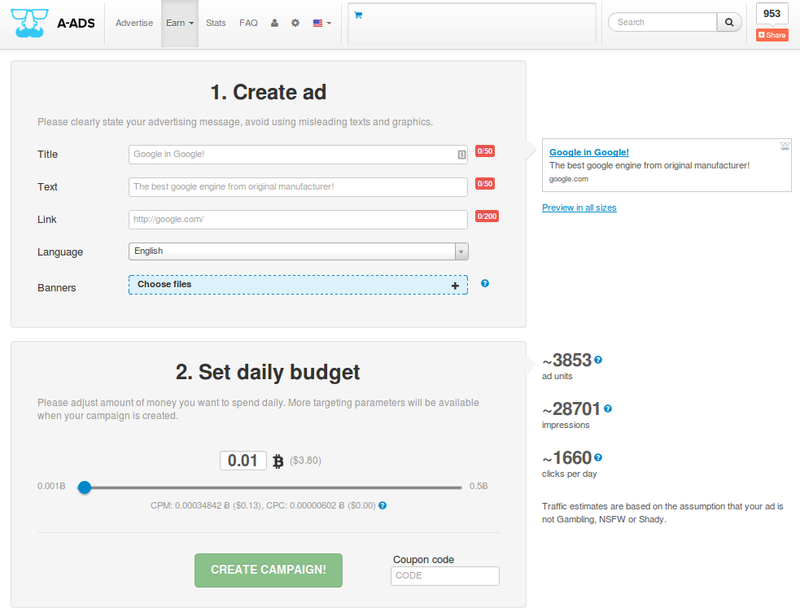 Fill the form, set daily budget and click "Create Campaign"
Voilà, your campaign has been created! 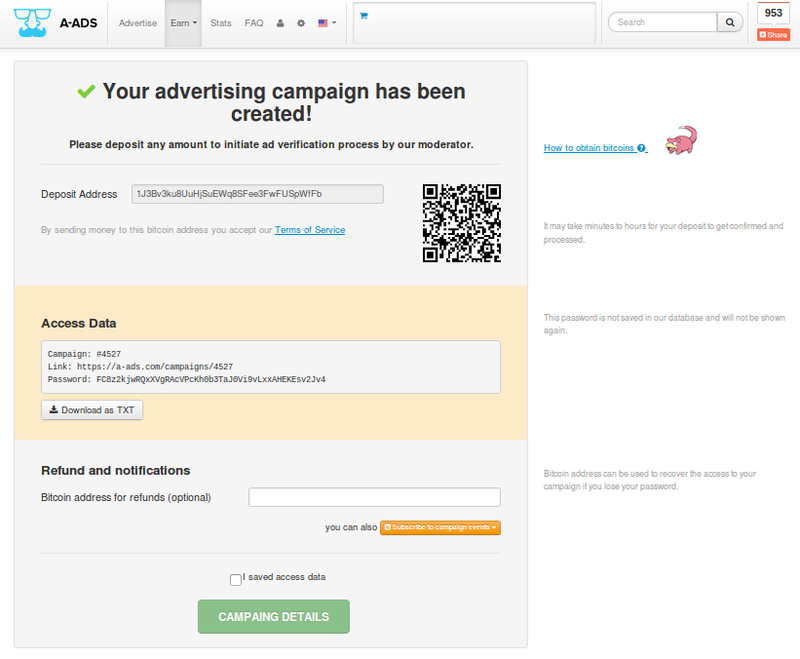 Now you can save your access data, set refund address and subscribe to campaign events notifications. Advanced parameters are available on the created campaign's page.